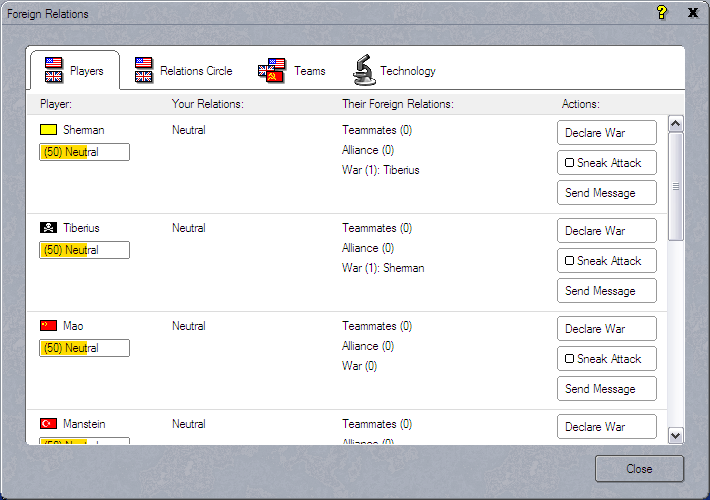 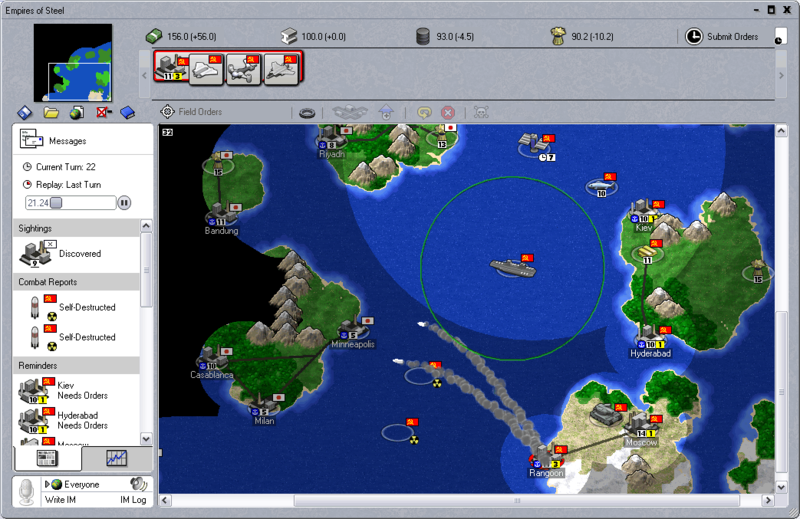 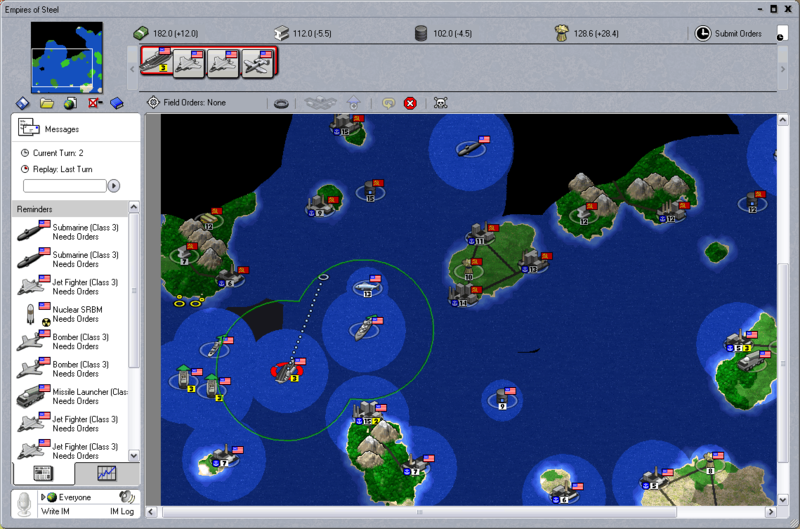 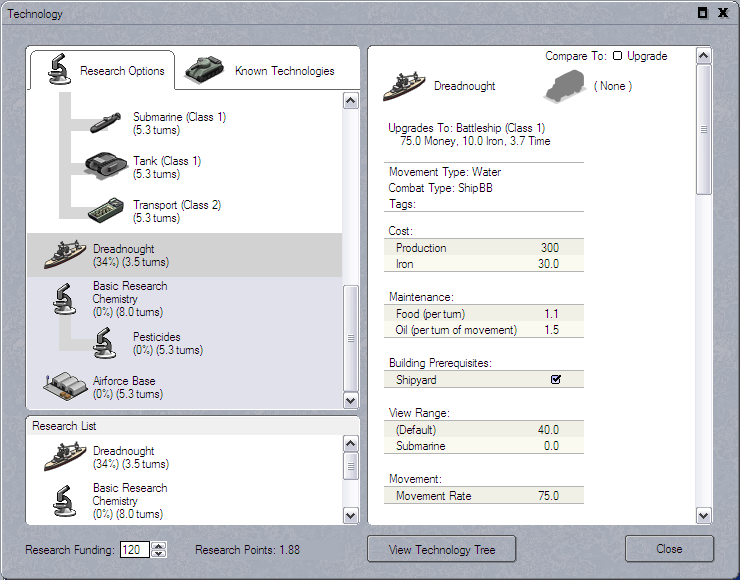 This after action report contains a number of high-level views of the game map. 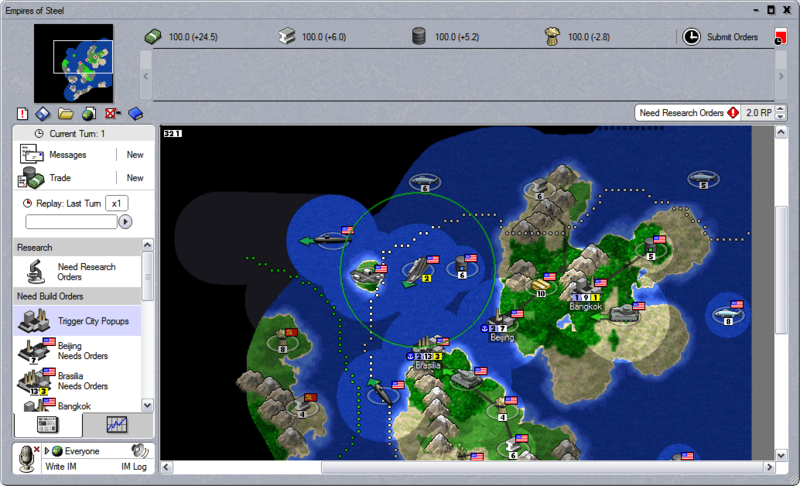 Click on the image to see more game images and read the game-report. 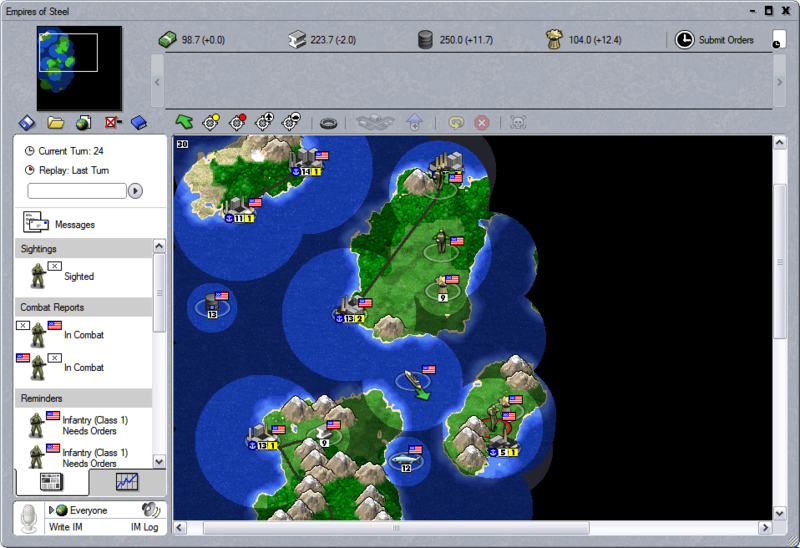 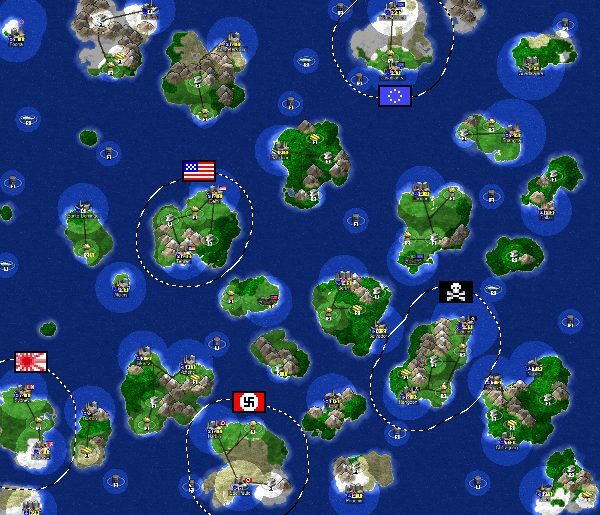 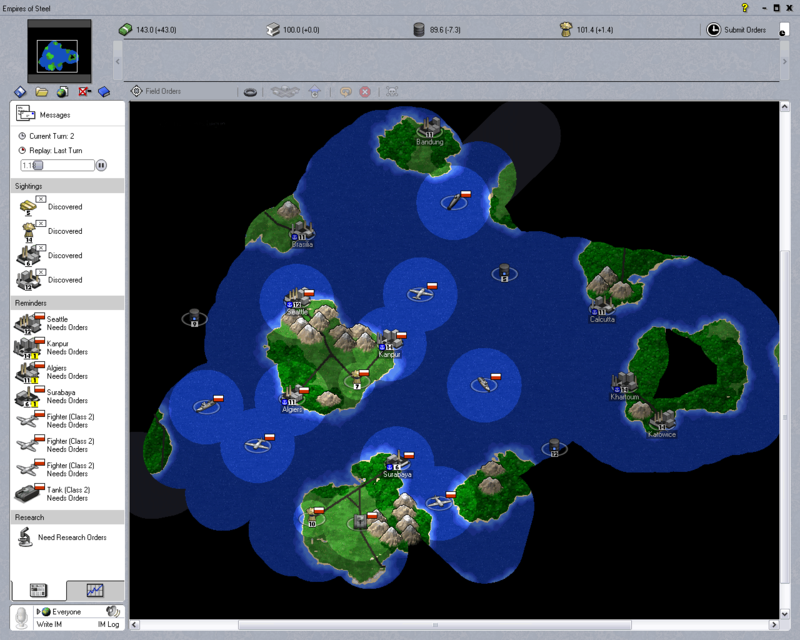 Chris Nelson wrote an article about creating maps in the map-editor. 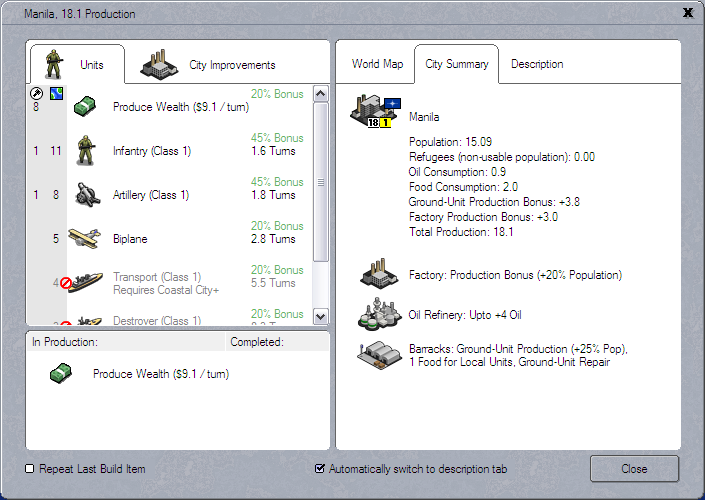 Click the image below to read the full article, and see more screenshots. 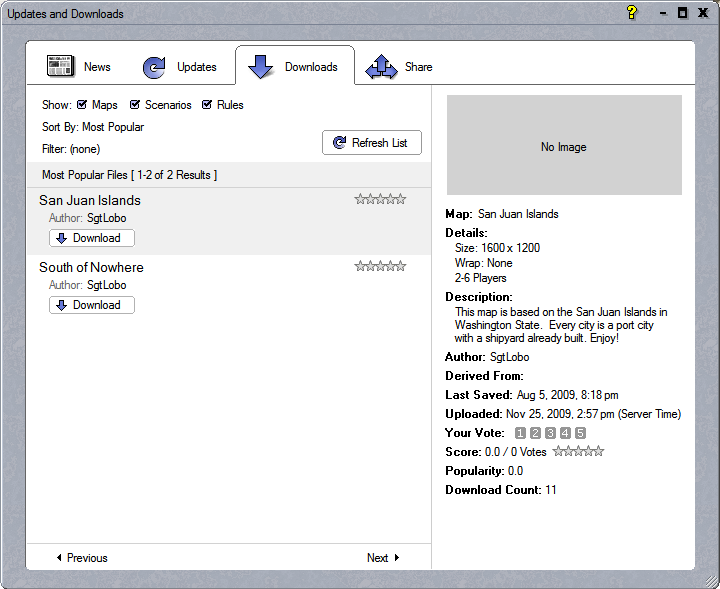 Click here to see some more gameplay videos. 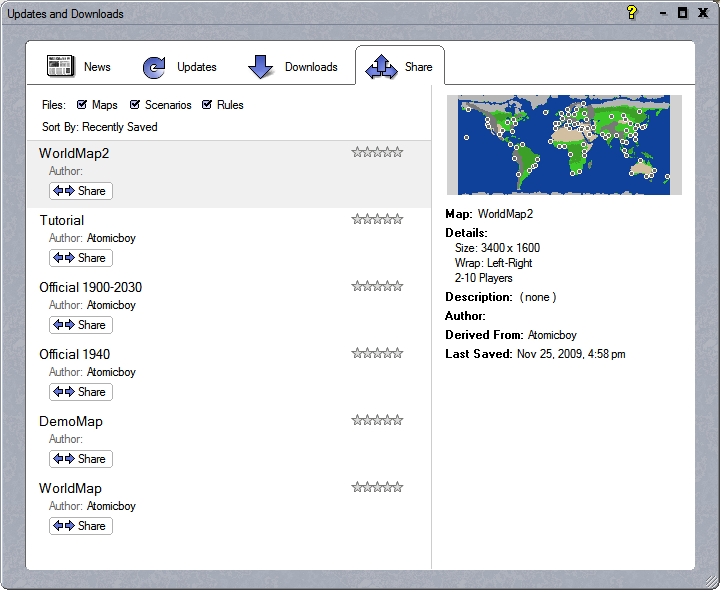 A world-map created inside the map-editor. 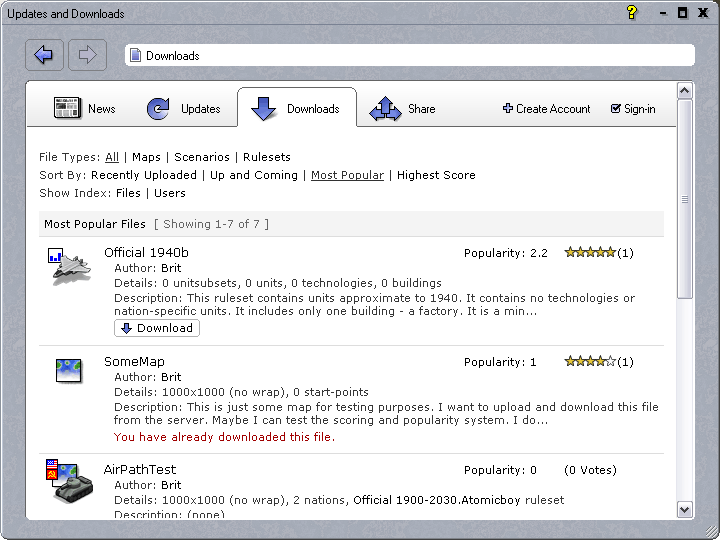 The image is 1MB, and 3400 pixels x 1600 pixels. 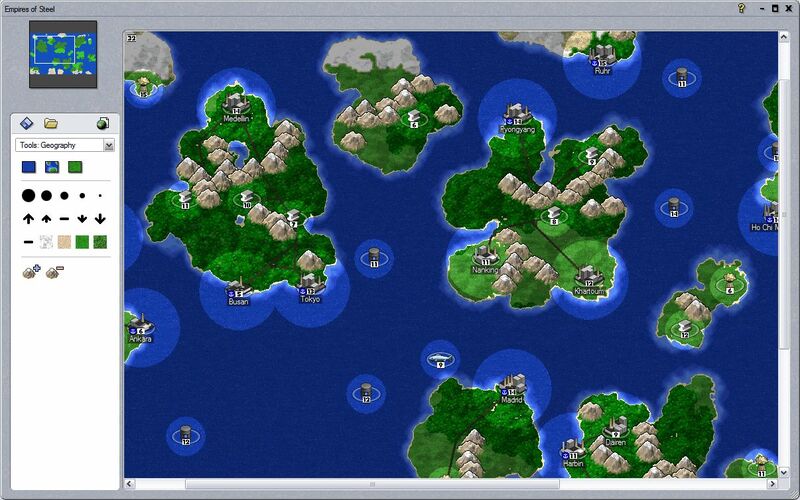 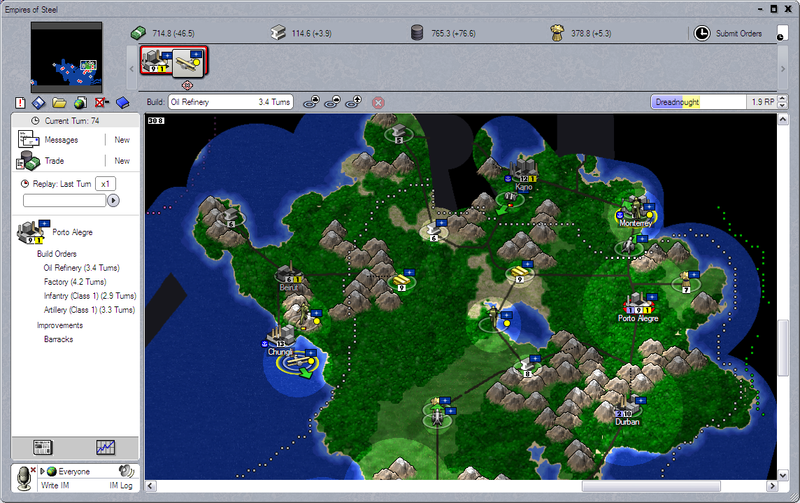 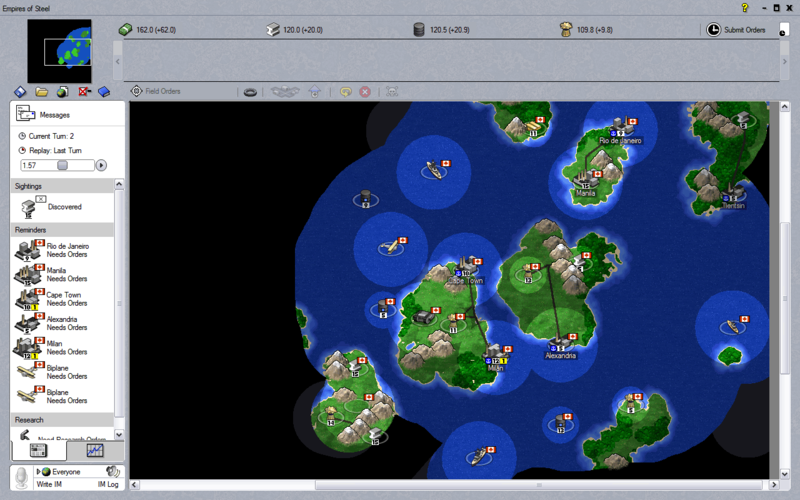 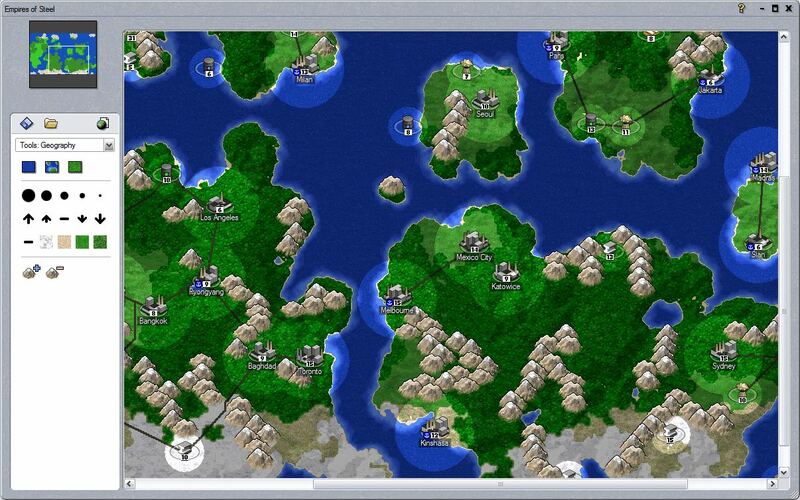 The map editor comes with the game, so you can make your own maps like this, or modify this one.